Laurie Brown was born in Austin, Texas, in 1937 and was raised in Los Angeles, California. She completed her B.A. in international relations at Scripps College and received her M.A. in fine arts at California State University, Fullerton. In 1978, Brown was awarded a National Endowment for the Arts Fellowship in Photography and, in 2002, was designated the Outstanding Individual Artist of the Year by ARTS Orange County. Her first book of photographs, Recent Terrains: Terraforming the American West, was published in 2000 by the Johns Hopkins University Press in association with the Center for American Places as part of George F. Thompson's Creating the North American Landscape series. Brown's photographs are in the permanent collections of the Center for Creative Photography, Los Angeles County Museum of Art, Minneapolis Institute of the Arts, Museum of Fine Arts, Houston, New Orleans Museum of Art, Philadelphia Museum of Art, San Francisco Museum of Modern Art, and Santa Barbara Museum of Art, among others. She has had one-person and group exhibitions at numerous institutions, including the California Museum of Photography, Laguna Art Museum, Museum of Contemporary Art, San Diego, Nevada Museum of Art, Oakland Museum, Orange County Museum of Art, Palm Springs Art Museum, San Francisco Museum of Modern Art, and Sezon Museum in Tokyo. Brown currently resides in Newport Beach, California. Her Website is lauriebrownphotographer.com. 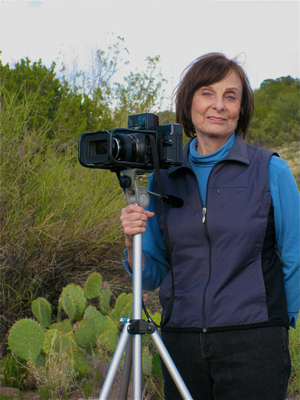 Sally Denton born in Elko, Nevada, in 1953, is a third-generation Nevadan. She attended the Uni- About the Author versity of Nevada-Reno before completing her B.A. at the University of Colorado in Boulder in 1974. Denton received a Lannan Literary Grant in 2000, Western Heritage Awards in 2002 and 2004, and a John Simon Guggenheim Memorial Foundation Fellowship in General Nonfiction in 2006. In 2008, she was inducted into the Nevada Writers Hall of Fame. Her career as an investigative reporter resulted in articles in The Washington Post, Penthouse, The New York Times, Columbia Journalism Review, and American Heritage. Her books include The Bluegrass Conspiracy: An Inside Story of Power, Greed, Drugs, and Murder;The Money and the Power: The Making of Las Vegas and its Hold on America (Alfred A. Knopf, 2001) co-authored with Roger Morris, which was made into a documentary film broadcast on the History Channel, Faith and Betrayal: A Pioneer Woman's Passage in the American West (Alfred A. Knopf, 2006); Passion and Principle: John and Jessie Frémont, the Couple Whose Power, Politics, and Love Shaped Nineteenth-Century America (Bloomsbury, 2007); and The Plots Against the President: FDR, a Nation in Crisis, and the Rise of the American Right (Bloomsbury, 2012). Denton currently resides in Santa Fe, New Mexico, and her Website is www.sallydenton.com.